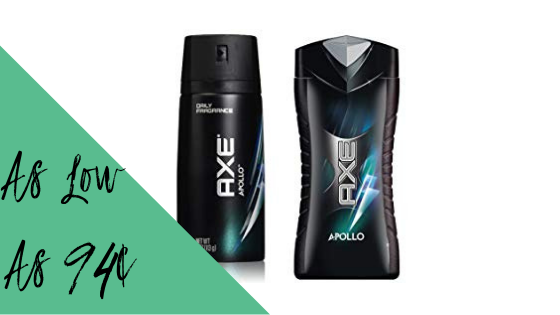 Use new Target Cartwheel offers, manufacturer coupons and a gift card deal to get Axe shower gel and body spray for cheap! You can buy them individually or use the deal idea below to get a $5 Target gift card on your personal care purchase. Note that the Cartwheel coupons are reduced by the Target gift card. Makes it $4.68 or 94¢ ea.